There are so many films that I’m already looking forward to in 2015 but I have managed to narrow the list down to just ten. Snoopy and Charlie Brown: The Peanuts Movie: you might think ‘oh, good grief!’ But I always enjoy a bit of Charlie Brown and the gang. The trailer looks a lot of fun and the use of computer animation isn’t distracting at all. The Minions Movie: Minions make me giggle. That’s all. Jurassic World: I still remember sitting in the cinema watching the opening five minutes of Jurassic Park and thinking ‘oh this is going to be good!’. Unfortunately the two sequels never quite lived up to the first. Can this new film, directed by Colin Treverrow, take us back to the magic and wonder of the first? Birdman: a but of a cheat this one as I’ve already seen it – but it’s not out in the UK until 2015! Michael Keaton is on top form as the former superhero actor trying to kickstart his career by starring in, and directing, a Broadway play. The supporting cast are also excellent – particularly Emma Stone as is daughter. But my favourite thing about Birdman is the craft that’s gone into making the film – the idea of just a single shot through the whole film, I think it’s incredibly clever! Whiplash: I’m calling it now, you won’t see a better onscreen villain in 2015 than JK Simmons’ horrific music teacher. He’s brutal! Miles Teller holds his own but it’s Simmons who has the showier role and he absolutely runs with it. An Oscar is surely in the bag. Whilst there are plot points in the film that I could see coming the ending was fantastic. It’s a great movie. Selma: British actor David Oyelowo stars as Martin Luther King in the drama which focuses on his campaign for civil rights and the march from Selma to Montgomery, Alabama, in 1965. Oprah Winfrey is among the supporting cast. Spectre: Bond is back! But no Judi Dench this time. Can director Sam Mendes emulate the phenomenal success of Skyfall? I’ve never been a huge fan of 007 but I am looking forward to the new film. Plus, who’s going to perform the theme song? Tomorrowland: George Clooney leads the cast of this scifi mystery about a former boy-genius and a gifted teenager who set out on a dangerous mission to unearth the secrets of an enigmatic location caught between time and space. The cast also includes Hugh Laurie and young actress Britt Robinson. It’s directed by Brad Bird who made the last Mission: Impossible movie as well as Pixar’s The Incredibles so I think it should be in safe hands. Avengers: Age of Ultron: Iron Man, Hulk, Thor, Captain America (and the others) back on screen together. I just can’t wait! Director Joss Whedon’s brought the whole gang back (we might even get to see Tom Hiddlestone’s Loki). Avengers Assemble set the bar so high, can they reach those heights again? Or even top them? We’ll find out in April. Star Wars: The Force Awakens: did you really think I wouldn’t include this in my list of must-see films? Of course it tops the list! The first film I ever saw at the cinema was Star Wars, it is the franchise that I have loved for over 30 years. And it’s back. And I can not wait until December!! So that’s my top 10 must-see movies for 2015. Close but no cigar mentions for Love is Strange, Blackhat, Cinderella, Frankenstein, The Lady in the Van and Absolutely Anything. What are you looking forward to? Tell me in the comments section below! ITV kicks off the year with the return of Broadchurch. Will we all be as hooked again? We’ll have to wait and see. Also in the New Year, The Voice returns to BBC1 with Rita Ora replacing Kylie Minogue in the judges chair. Kylie was such a hit last year, can Rita emulate her success? And can the show ever launch a successful pop star? There are some great dramas due on our screens in 2015. I’m really excited for the BBC’s adaptation of Hilary Mantel’s Booker Prize-winning Wolf Hall. It stars Mark Rylance and Damian Lewis as Thomas Cromwell and Henry VIII. The books are fantastic and I’m really intrigued to see if the TV version will be the same. The BBC are also turning to classic literature for a new adaptation of Tolstoy’s War and Peace. Paul Dano, Lily James and James Norton will star in the series which will be shown as six one hour episodes. Filming hasn’t started yet so I expect it’ll be on screens towards the end of 2015. 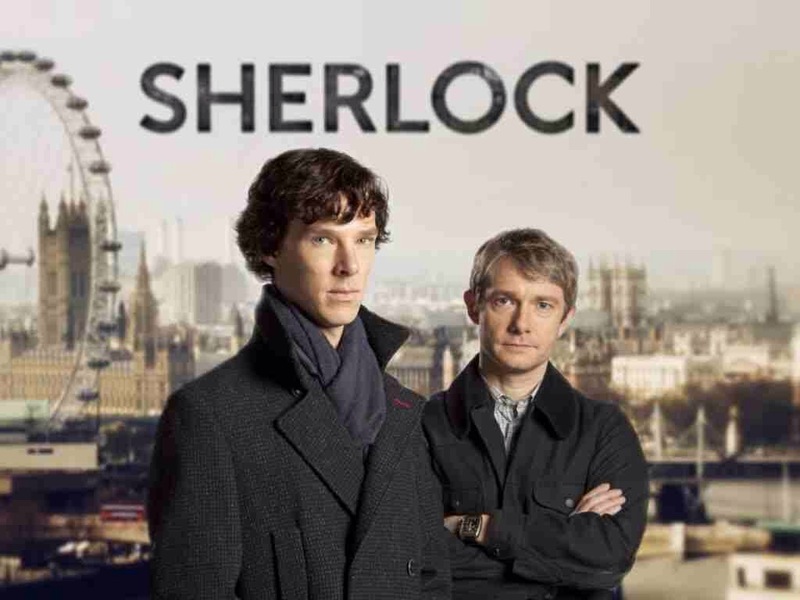 And finally, you’ll have to forgive me for this, but I am already excited about the return of Sherlock! Filming on the special one-off episode begins on January 6 with three new episodes due to be made later in the year, I suspect getting Martin and Benedict at the same time is probably pretty tough these days. Anyway as Moriarty would say ‘did you miss me?’ Yes!! The music world’s always tough to predict as artists don’t announce releases and tours until close to the time. But here’s some things we do know. Madonna’s new album, Rebel Heart, will be out in early February. She was forced to release six songs before Christmas after some early demos leaked. Is she still relevant in 2015? I guess that remains to be seen. 2015 should see the return of Adele. No news on when the long awaited new album will finally be released but surely it has to be soon? There are constant reports that she’s in the studio working on new music so hopefully it’s only a matter of time. Emeli Sande will also be back in 2015 with her new album, Who Needs The World. Can she replicate the amazing success of her debut? And will we see her on every TV show possible as she promotes it? I’m looking forward to the new Coldplay album, A Head Full of Dreams. Chris Martin has promised fans the band will tour after its release. I hope so! One of my highlights in 2014 was their small concert at the Royal Albert Hall. I’ve seen them play some huge shows over the years so it was great to see them strip backed and in such an intimate setting. And talking of touring – Take That will be out on their first UK tour as a three-piece. They always put on a fantastic show for fans so I expect this tour to be just the same, with a bit more singing from Mark and Howard! 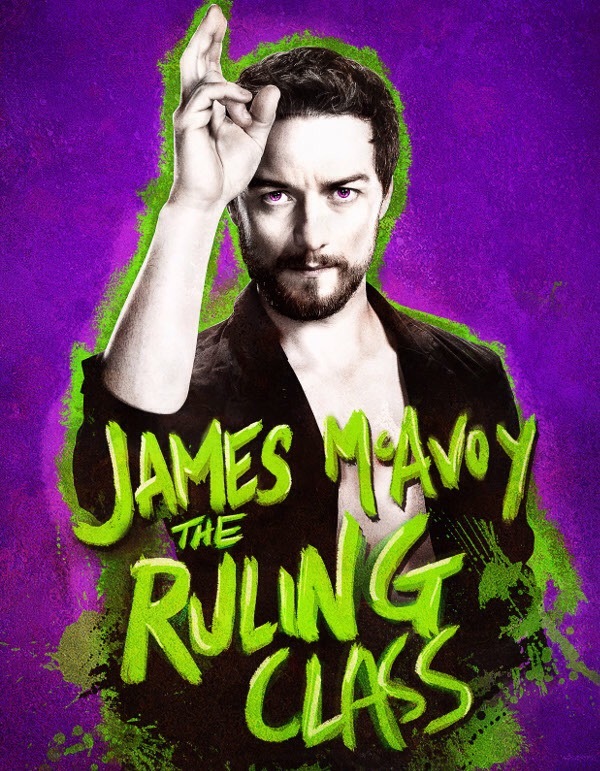 2015 kicks off with the return of James McAvoy to the London stage. He opens in The Ruling Class at the Trafalgar Studios on January 16. The play is about a paranoid schizophrenic with a Messiah complex who inherits his father’s Earldom. So nothing like the Earl of Grantham in Downton then! In March, Emma Thompson returns to the London stage for the first time in 25 years as she co-stars with Bryn Terfel in Sweeney Todd at the ENO. It’s a really limited run – just 13 performances – and the show went down a storm when it was performed in New York in early 2014. I have tickets and I can not wait! Another Hollywood star set to tread the London boards in 2015 is Damian Lewis who will lead the cast of a new production of David Mamet’s American Buffalo. The play will run from April to June and it explores the fickle nature of honour among thieves. 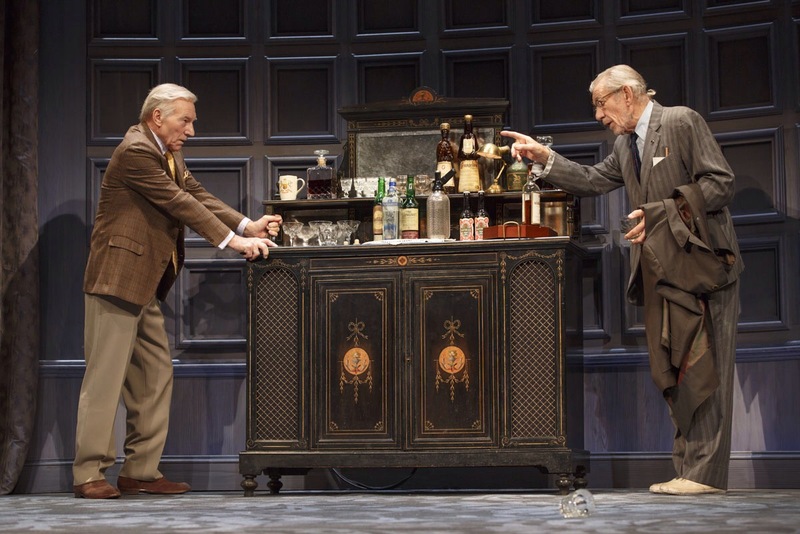 No date yet, but I’m really excited about the return of Ian McKellen and Patrick Stewart to London. They’re teaming up again for a staging of No Man’s Land. I saw it in New York in 2013 and recommend it! And finally the biggest thing in theatre in 2015 sold out within minutes of going on sale in 2014. Benedict Cumberbatch will play the gloomy Dane in Hamlet at the Barbican in the autumn. I suspect it’s going to be huge. It’s that time of year when everyone starts compiling their best of the year and I’m no exception! This is the list of MY top 10 films of 2014 – so it’s completely subjective and you probably don’t agree with me in any way. What is apparent is that I didn’t see as many films as usual this year (too much ‘proper’ work to do) and so I missed some of the film’s that I suspect are on other critics’ lists. Also, my list is for 2014 so it doesn’t include some of the films I’ve already seen that will be in UK cinemas in early 2015. It’s tough for me to only place this at number 10 but I really don’t think it can go any higher. I do believe it’s the weakest of all six Middle-earth films and I was very underwhelmed the first time I saw it. However, on second viewing I enjoyed it much more. And both times I was brought to tears by the final 20 minutes. For that reason it squeaks in. The James Brown biopic was released in the UK the same weekend as the new Hunger Games film and I think it therefore was missed by a lot of film fans. It shouldn’t have been. I hugely enjoyed the film which shows Brown warts and all – it doesn’t shy away from his darker side. Plus I thought Chadwick Boseman in the lead role was absolutely fantastic. It’s a shame he’s not getting more attention during awards season, he deserves it. Not much happens in the film, it’s busy setting everything up for what I imagine is going to be an all-guns-blazing finale, but I still thoroughly enjoyed it. Jennifer Lawrence once again carries the whole film, she’s really grown into the role of Katniss. And the scene when she sings ‘The Hanging Tree’ gave me goosebumps. I went into Guardians with absolutely no expectations but I came out Hooked On A Feeling (sorry). I knew nothing about the story beforehand but I was completely carried away but the rollicking good story which was jam packed with humour. I’m really looking forward to the sequel. And I want a Baby Groot! I bet you missed this at the cinema. Well go and find it on DVD! Jon Favreau directs and stars this tale of a man going through a major crisis. It’s a world away from the bombastic Iron Man films and that’s one of the things I loved about it. Plus the fantastic cast (including the cameos). Seriously, if you haven’t seen it please check it out! It feels a bit strange including the Oscar-winning film but as I said at the start this is a review of films released in 2014. I saw it in October 2013 and it still haunts me now. Chiwetel Ejiofor is superb in the lead role and I thought his was a stronger performance than Best Actor winner Matthew McConaughey, plus Lupita N’yongo was a revelation as Patsy. I’ll be honest, it’s not a film I’ve watched a second time but it’s a film I feel is incredibly important and that’s why I rate it so highly. Hands down the best Benedict Cumberbatch performance on film. While we all know the outcome of the main storyline (can they break the Enigma Code?) it’s still a thoroughly compelling story that draws you in. Cumberbatch is supported by an excellent cast, not least Keira Knightley who I think gives one of her best ever performances. It’s a fantastic British film and throughly deserves the recognition it’s been receiving. I really wasn’t sure about this from the trailers. The apes are talking? Hmm. But after attending an early footage screening my interest was peaked. And the final film didn’t let me down. Once you get used to Caesar speaking it becomes quite normal and the relationships between the apes are really touching. Toby Kebbell gives Andy Serkis a run for his money in the mo-cap acting making Koba pretty terrifying in places. Is it better than the first film? I’d say yes. And I’d also say it’s time to five mo-cap actors the credit they’re due! Oh what a joy of a film. I came to the Pride love-in a little late but now I’m thoroughly on board. It’s sweet, touching and laugh out loud funny. Who knew a story about a group of gay activists and Welsh miners could bring so much joy? The ensemble cast emits such a warmth that you just want to gather them all up in one great big hug. I loved it. Yes a film about a marmalade loving bear from Peru has topped my list of the best films of 2014. And I don’t care if you disagree because I told you this is MY choice. Paddington is a film that the whole family can enjoy. There’s plenty of slapstick for the little ones, laughs for the adults and a message for everyone. As Paddington says “I will never be like other people but that’s ok”. Well the 21st century Paddington is just like the bear we all grew up with. And you know what, I can’t wait for the sequel! 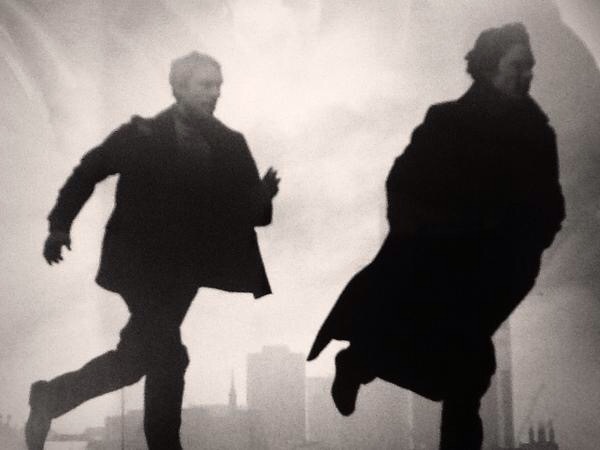 Mark Gatiss has revealed the Sherlock Christmas special will begin filming on January 6. He says he doesn’t know when we’ll get to see it though as “that’s up to the BBC”. In an interview with India Today, Gatiss said the special will be a completely new story “it’s almost entirely original – not really based on any of the stories” he said. Once the special has been filmed the cast and crew will then turn their attention to three more episodes. In the interview the show’s co-creator was asked if viewers will get to see John and Mary’s baby but, as usual, he wouldn’t answer the question: “We know that Mary is expecting a baby at the end of season three” he said. “We will see the child – maybe at some point in the future, depending on where we pick up from”. All I can say is the sooner they start filming the sooner we can see it! Ron Howard’s delivered an early Christmas present with the release of the new trailer for his sea-faring epic In The Heart of the Sea. The film stars Chris Hemsworth as the first mate of The Essex, a New England whaling ship that was assaulted by something no-one would believe. The cast also includes Cillian Murphy, Brendan Gleeson and Ben Whishaw. It’s released in the UK on March 13. 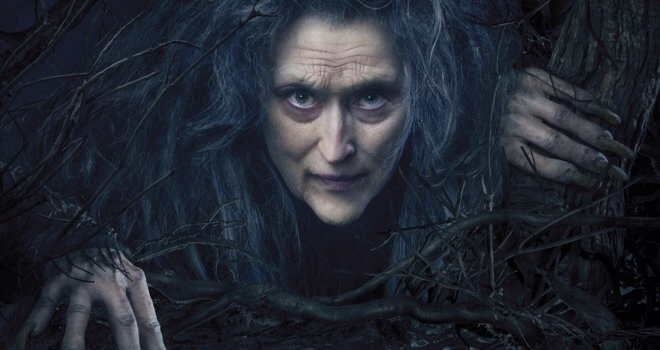 Meryl Streep is expected on the red carpet at a special screening of her new musical film Into The Woods next month. The screening takes place at Curzon Mayfair on January 7. Streep is part of an all-star cast which also includes James Corden, Emily Blunt, Chris Pine, Anna Kendrick and Johnny Depp. 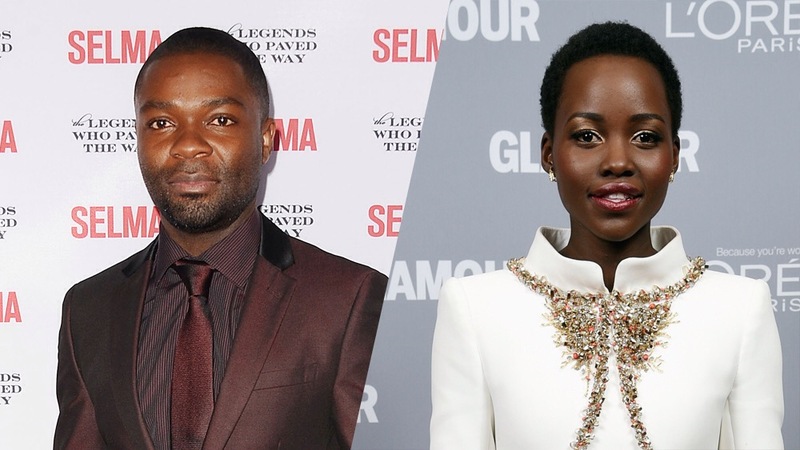 David Oyelowo is to star alongside Lupita N’yongo in new drama Americanah. The film is based on the novel by Chimamanda Ngozi Adichie and follows a pair of young Nigerian immigrants who face a lifetime of struggle while their relationship endures. The film counts one Brad Pitt among its producers.